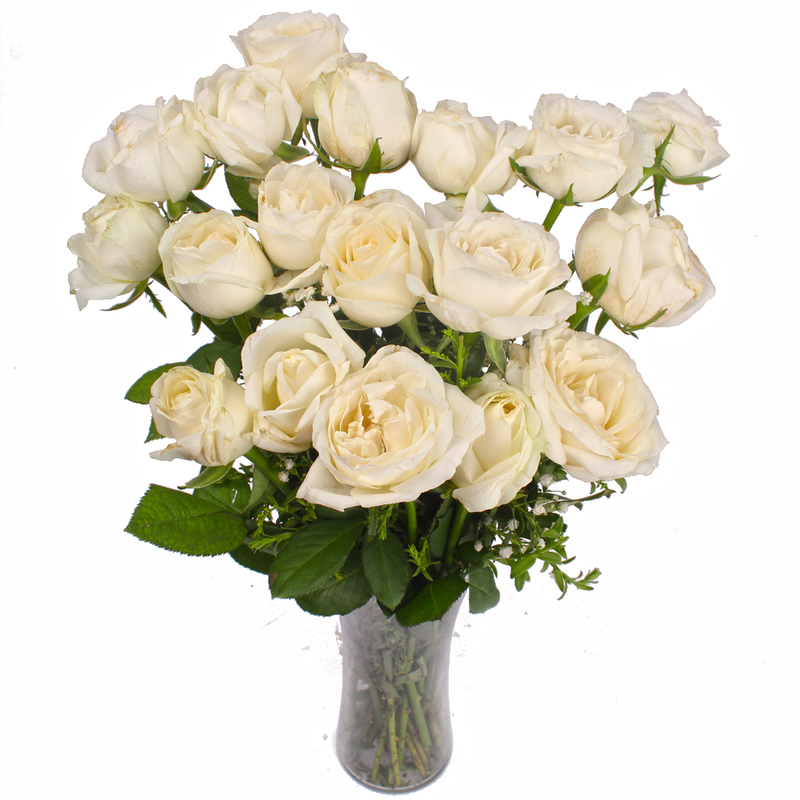 If there ever was an acronym for true elegance and style, it is these white roses for sure. 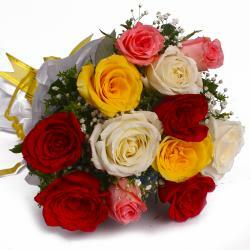 These lovely and soothing flowers will delight you with their white hues. 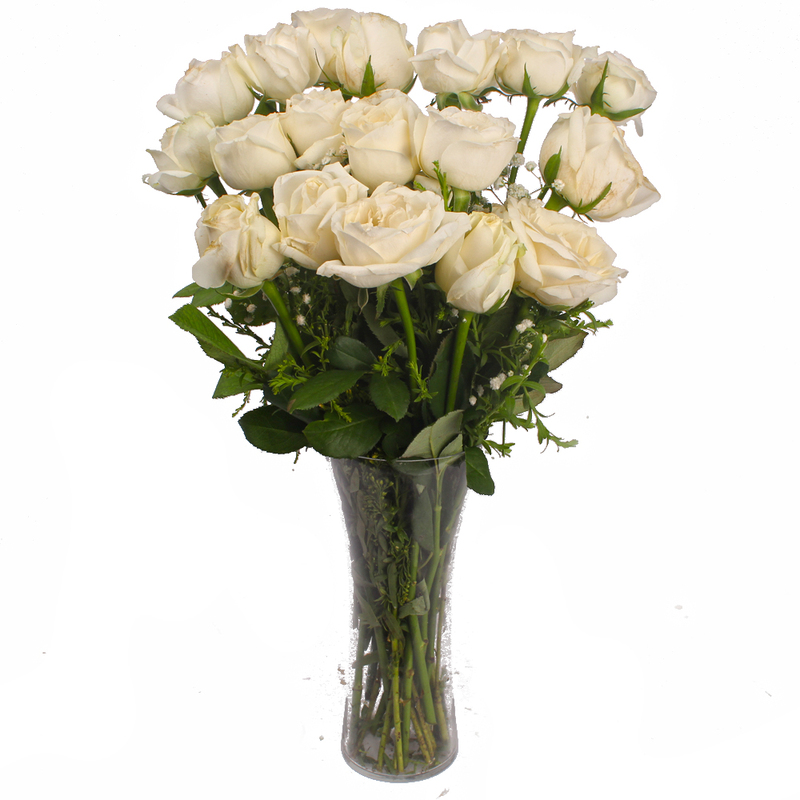 The eighteen stem of white roses are also accompanied by a vase made of glass. 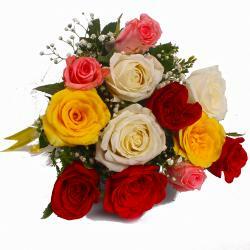 These vase lends the right finishing touches to this beautiful ensemble roses vase are the perfect gifting options for occasions like Birthday, Anniversary, Get Well Soon, Lohri, Fathers Day among others. 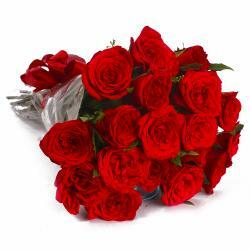 You can also take recourse to these flowers when it comes to surprising your beloved on her birthday or other occasions as mentioned above. 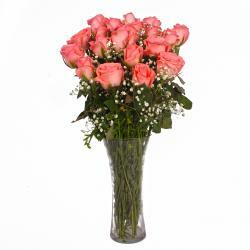 Product contains : Eighteen White Roses with green fillers in Glass vase.